Stay on top of your guest details with our online guest list manager. Collect RSVPs and registrations online. Download lists. Print out name tags. And much more. 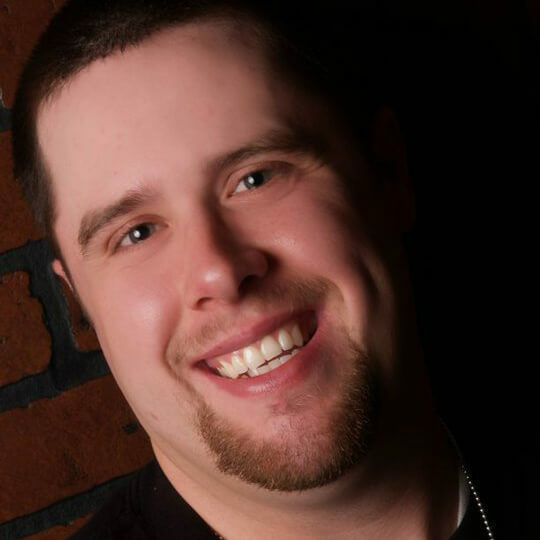 "Planning Pod has really made our business more efficient, streamlined, and effective. I am not sure what we did before we started using it!" Our online guest list tracker is built with lots of flexibility to adapt to your guest management needs. Upload your guests from a file or another application (like Google, Salesforce or MailChimp). Easily add Plus Ones and arrange guests into groups or families. 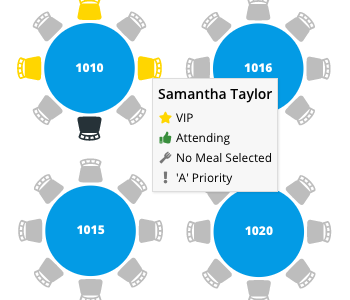 Create meal choice options and custom fields for compiling specific details for attendees. Manually track RSVP status and view up-to-the-minute headcounts. Getting your guest details out of our guest list tool is just as easy and putting them in. Download formatted PDF or .csv files of your guest lists. Print out formatted name badges (compatible with Avery templates). And use lists from old events as guest list templates to save time. "We are very happy with Planning Pod and would recommend them to other companies and event planners HANDS DOWN!!" In addition to our online guest list software tool, we offer an event website builder where you can create a custom website to collect RSVPs and registration details. Add panels to your event site for text, images, galleries, videos, schedules and maps plus social media integrations. Customize your site with your event colors as well as your own URL or domain name. Once your event site is set up, invite your guests to visit your site and use the RSVP/registration panel there to provide their RSVP reponses as well as answers for meal choices and custom questions you can create. 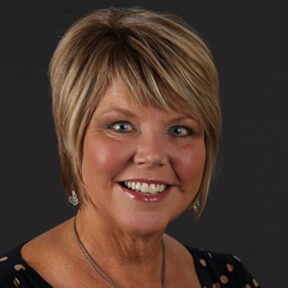 "As a meeting planner for a state association, I use Planning Pod for our two large state meetings … and my staff and I always know what's going on." 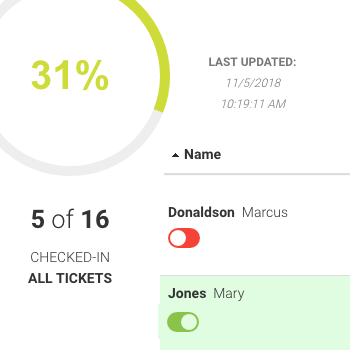 With Planning Pod you can create a guest list and much, much more. For example, you can use our online guest check-in app to quickly check in attendees at your event. Or build a to-scale layout of your event and use the guest list to drag-and-drop guests onto seats for an assigned seating chart. In addition our productivity tools let you manage event tasks, calendars, itineraries/schedules, files, checklists, worksheets, budgets, vendors, staff and volunteers. And our 38 pre-built templates will save you time in setting up each event and getting started. Often you need to collect more than just RSVP status and contact information for your guests. 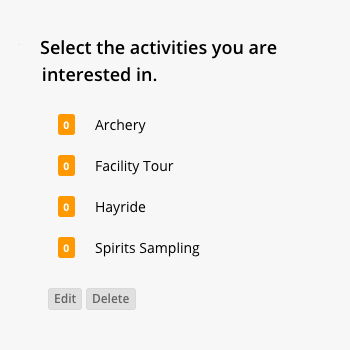 Our event and wedding guest list manager lets you add specific meal choice options as well as custom fields/questions for collecting additional data from your potential attendees or participants. For example, you can create open response or multiple choice questions that your guests can reply to via the event website when they are RSVPing. Collect lodging and travel details as well as guest preferences. Conduct polling. Allow guests to upload files / submissions. And compile all this information inside the guest list tool. People prefer our Web-based tools because they are so easy to use and are flexible enough to plan virtually any kind of event - from social events like weddings, parties and galas to meetings, conferences and fundraisers. Here are just a few of the features that keep people coming back to Planning Pod to make a guest list and plan their events. More versatile than a guest list spreadhsheet. More flexible than a guest list template. Manage all guest details and counts online with a single tool. Collect RSVP responses online as well as event registrations. Collect credit card payments for paid events and manage payment details. Collect registration information from attendees when they sign up, including meal choices, answers to custom questions and files/submissions. Create a custom site for every event and collect RSVPs/registrations via the site. Add text, images, videos, schedules, maps, social media buttons, more. 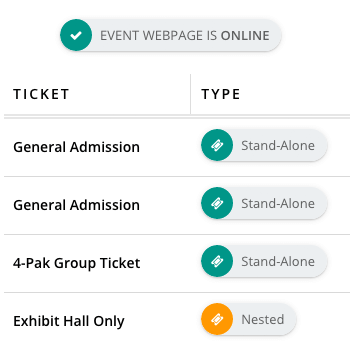 Use our event check-in app at the door to efficiently check in attendees. Plus effortlessly accept new registrations and payments on site. All our tools - including the attendee list manager - are mobile-responsive and work with any device, including iPhones, iPads, Android and Windows devices. Build to-scale, fully customizable event layouts (tables, chairs, stages, etc.) and assigned seating charts that integrate with your attendee list. Build a schedule/timeline for your event and assign items to event organizers, volunteers and vendors. Pre-built schedule/timeline templates included. Create and assign tasks to event organizers, clients and volunteers and set due dates. Build handy checklists. Includes pre-built task list templates. Color-coded calendars for managing all your event-related tasks, appointments and meetings. Sync with other e-calendars like Google and Outlook. 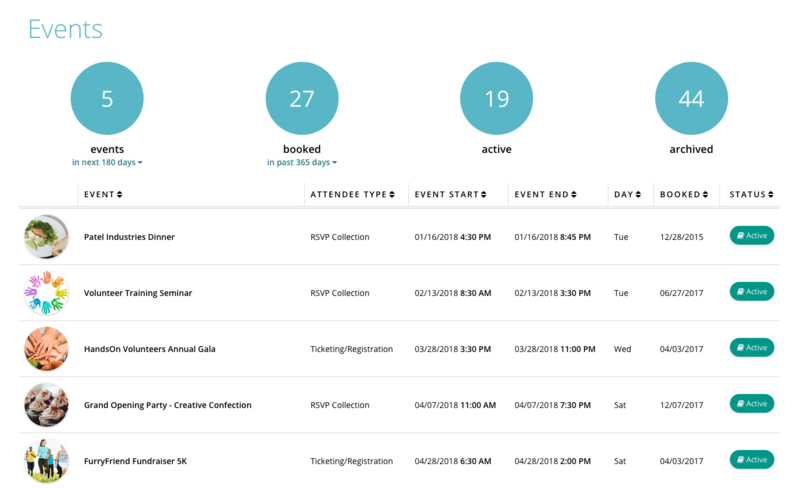 Build detailed event budgets with itemized line items and categories. Track payments and payment due dates. Pre-built budget templates included. Collect and manage details for rentals, catering, venues, A/V, decor, volunteers, more. 18 pre-built worksheet templates included. Upload and store any event-related files. Also attach links to Google Docs and Dropbox files. Build templates that you can import into events and use over and over again. Includes task lists, worksheets, checklists, budgets, schedules, more. 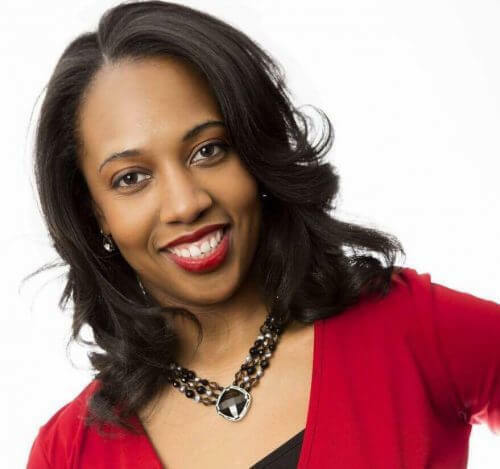 Create and email messages and send files to co-planners, clients, volunteers, etc. Tracks all replies for each message thread. Create and store notes on-the-fly.